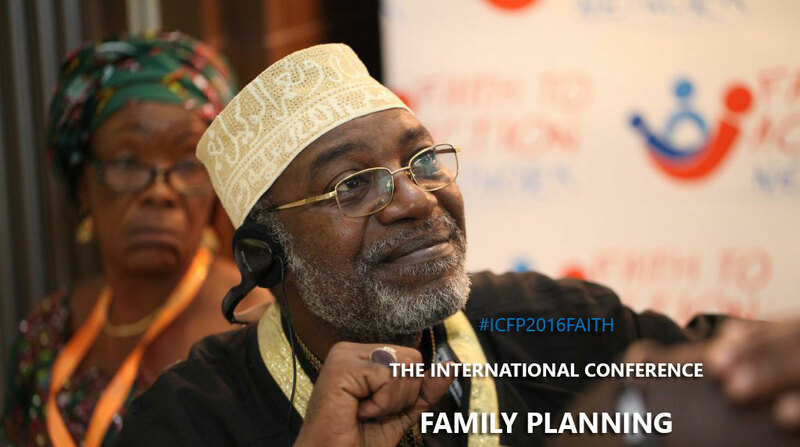 85 faith leaders from 26 nations gathered for the first-ever Faith Pre-conference (January 24th-25th, 2016) on the sidelines of the International Conference on Family Planning 2016 . They committed to scaling up services to help families with healthy timing and spacing of pregnancies and discussed best practices in family planning. Representing the Buddhist, Christian, Confucian, Hindu, Jewish and Muslim faiths, these leaders discussed how to promote the Sustainable Development Goals family planning agenda at national and international levels. 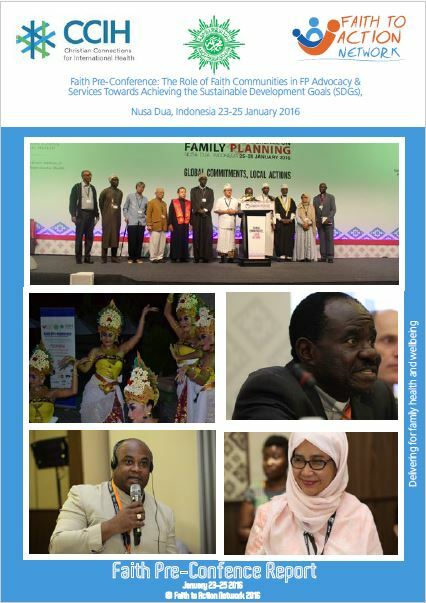 Faith to Action Network served as a Co-Chair, along with Christian Connection for International Health and Muhammadiyah of the ICFP 2016 Faith Subcommittee. Since 2016, faith actors across the world have made impressive progress in delivering on their statement in support of family planning. To that end, a mapping of faith actors’ advocacy achievements since 2016 was shared by Mona Bormet, MPH, CHES, Program Director for Christian Connections for International Health. See the ICFP 2016 Faith Pre-conference Report which includes recommendations developed at the pre-conference, along with photos and summaries of presentations and discussions. The following provides a list of presentations on family planning and faith from other stakeholders. The Faith Subcommittee and other ICFP partners reached out to media outlets across the globe to take this opportunity to debunk myths that faith communities and leaders do not support family planning. As a result of this outreach, an opinion piece by Reverend Canon Grace Kaiso, General Secretary of the Council of Anglican Provinces of Africa and Chair of the Faith to Action Network and Dr. Ahmed RA Ragab, Professor of Reproductive Health at Al-Azhar University and Vice Chairman of the Faith to Action Network about support among religious leaders appeared in the Guardian. The piece, Why Religious Leaders Have a Moral Duty to Promote Family Planning, featured the work of the Christian Health Association of Kenya to involve religious leaders in scaling up family planning use in two communities. A version of the original opinion piece including the work of the Zimbabwe Association of Church-related Hospitals also appeared in publications in Nigeria, Tanzania, Zimbabwe, Malawi, Uganda and Ghana. An article in All Africa featured comments by Dr. Tonny Tumwesigye of the Uganda Protestant Medical Bureau about faith and family planning and why healthy timing and spacing of pregnancies is consistent with Christian values. Articles featuring interviews with CCIH’s Mona Bormet (Leap for Faith), Dr. Henry Mosley of Johns Hopkins University (Having Faith in Family Planning), and Grand Mufti Sheikh Mangala Luaba of the Democratic Republic of the Congo (Faith and Family Planning: A Q&A with Sheikh Mangala Luaba) appeared in Global Health Now. Sheikh Luaba explained that family planning is supported by the Qu’ran and means giving good health to the mother and good growth, development and health to the child, while also giving time for the father to provide financially for the family. CCIH Program Director Mona Bormet was quoted along with CCIH members Susan Otchere of World Vision and Katherine Marshall of World Faiths Development Dialogue in this Los Angeles Times article by Noam Levey on support among faith leaders for family planning. The article also includes the work of the Christian Health Association of Kenya.